It’s a few years since I read A Short Walk in the Hindu Kush, but it’s one of those books that I always knew I would read again. Since moving to Italy, a country where Eric Newby spent much of his life, I’ve been reading more of his stuff, such as Love and War in the Apennines and A Small Place in Italy. 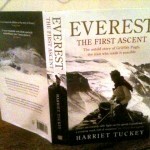 Bizarrely for a man who was to lead such an adventurous life, Newby was working in the ladies’ fashion industry in the 1950s, when he decided to contact his friend Hugh Carless, a diplomat working for the UK foreign office, who spent his life in many faraway places, asking if he wanted to join him on an adventure. 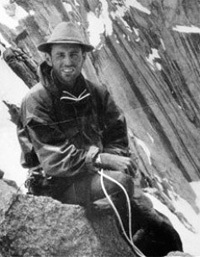 During a stay in Afghanistan a couple of years earlier, Carless had attempted a 5,809m unclimbed peak in the Hindu Kush called Mir Samir. It was still unfinished business for him, and when Newby suggested another go, he jumped at the chance. This was fortunate for Newby, for not only was Carless familiar with the geography, but he was fluent in Persian, a language they would be needing, and was a tireless organiser. This fact is reflected in Newby’s dedication at the front of the book. This book is dedicated to Hugh Carless of Her Majesty’s Foreign Service, without whose determination, it must be obvious to anyone who reads it, this journey could never have been made. Newby’s life in the London fashion industry and his crash course in rock climbing in Snowdonia, where he and Carless were taught the rudiments of rope work by a pair of adventurous barmaids. A hair-raising drive across Asia, from Istanbul to Kabul, during which Carless narrowly avoids being arrested for manslaughter. Their attempt on Mir Samir. A exhausting trek through the mountains of Nuristan with their three Afghan companions, where hunger, dysentery, and patience-sapping encounters with the local inhabitants form a backdrop. The word “mahsuds”, incidentally, would make a good euphemism. The journey by car across Turkey, Iraq and Iran is a traumatic one for Carless, who is keen to avoid any diplomatic incident that might embarrass his employer, the British government. They are driving through an area for which they have no permit, when Carless is forced to skid to a halt a few metres short of an Arab who is dying by the side of the road. Despite having nothing to do with his injuries, the evidence doesn’t look good for them, any more than it would for a man standing trouserless on a window ledge. Later in the journey the appropriately named Carless has to suffer the romantic attentions of an amorous car mechanic after an unfortunate breakdown. Despite being the mastermind behind their journey, Newby’s companion seems to be the archetypal hapless traveller, providing the book with a rich vein of comedy. 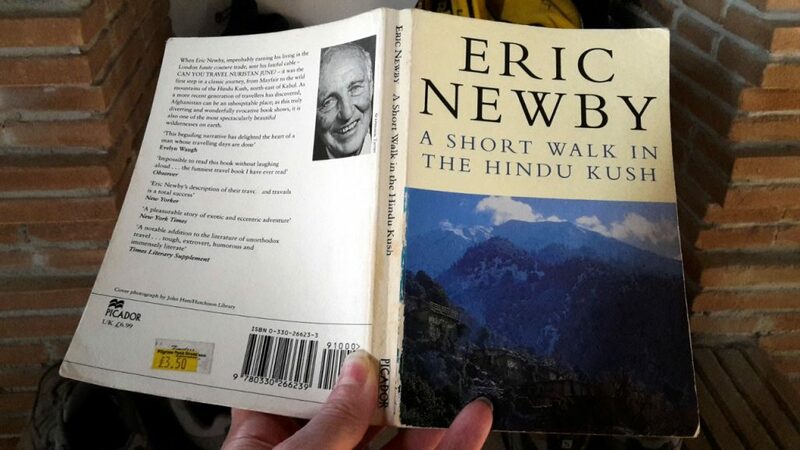 One of the great things about A Short Walk in the Hindu Kush (and all of Newby’s books) are the characters. He is a master at bringing personalities to life. The three Afghan horsemen they hire to accompany them on their climb and trek in Nuristan, all have distinct characteristics that emerge during the journey. There is Abdul Ghiyas, the devout leader, who does everything in his power to shield Afghan women from the two infidels, and is a tyrant when it comes to choosing unsuitable campsites. His spirit wanes as the trek goes on and he becomes more exhausted. There is Badar Khan, the quiet one who won’t lift a finger beyond what he’s been hired for. And there is the Shir Mohammed, who begins surly and argumentative, but is the strongest of them all, and eventually becomes the one they can rely on, who climbs up to their high camp to brew tea for them when they return exhausted from their summit attempt. Many other minor characters infuse the book. Most are painted to great comic effect, most famously the explorer Wilfred Thesiger, who ends up delivering the book’s hilarious closing line. 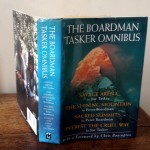 There can’t be many 5000m peaks that were attempted for the first time by two men carrying a guidebook to explain the various climbing techniques they were going to need. It became too much for Abdul Ghiyas when he found himself roped between them during a glacier descent. Newby kept falling over and laughing, and when Abdul Ghiyas complained, Carless had to remind Newby that what they were doing was dangerous. After two reconnaissance trips they decided that the east ridge presented their best opportunity. Despite their inexperience they nearly pulled off a remarkable first ascent. They were some distance along what they believed to be the summit ridge, but decided they were still a few hours away from the top. In the end an 17-hour summit day was not enough for them. After a nerve-racking descent they were relieved to return to camp alive and find Shir Mohammed there in the darkness to brew tea for them. They weren’t finished, and they persuaded the three horsemen to join them across a high pass into Nuristan, a region they believed to be inhabited by bandits. By now they were exhausted, ill, and down to their last few scraps of food. They had all contracted dysentery, which was inevitable when they discovered the locals treated the streams as a flushing toilet. There was nowhere else they could find clean drinking water. Despite these difficulties, their greatest hardship were the local people they encountered along the way. Everywhere they went they were constantly harassed. They were unable to stop and eat without a crowd of 50 people gathering round to watch, and keen to rummage through their belongings. For a man who must have felt like he was on the verge of death, Newby’s memory for fine detail is remarkable. He describes his first meeting with Nuristanis, pouring out of a bothy as they descended from the pass. They were all extraordinary because they were all different, no two alike. They were tall and short, light-skinned and dark-skinned, brown-eyed and grey-eyed; some, with long straight noses, might have passed for Serbs or Croats; others with flashing eyes, hooked noses and black hair, might have been Jews. There were men like gypsies with a lock of hair brought forward in ringlets on either side of the forehead. There were men with great bushy beards and moustaches that made them look like Arctic explorers. There were others like early Mormons with a fuzz of beard round their faces but without moustaches. And that’s only half the paragraph – he goes on. How the hell do you remember all that? Either he had a great imagination or an amazing memory for detail. He took us a quick way by narrow paths through thickly wooded country where watermills whirred merrily and wild raspberries and buttercups grew in little meadow clearings. It was like a summer morning in England, but a long time ago. Start to finish the whole trek and climb lasted little more than three weeks (hence the title) but enough interesting stuff happened to fill an entire book. Newby remarked on this at one point, while falling into exhausted sleep in a cave. It must have been sheer hell, but there are moments when we glimpse why they are there, and why many of us are drawn to the mountains. They had a petty argument on the windswept summit of a high pass. They descended apart, but each of them experienced a strange sensation that cast the argument from their minds. In spite of this ridiculous tiff, rarely in my life had I felt such an ecstatic feeling of happiness as I did coming down from the Arayu. The present was bliss beyond belief; the future looked golden. The final twist is saved for the last two pages, when they chanced upon the caravan of the great Arabian explorer Wilfred Thesiger in the middle of nowhere. They had almost completed an amazing, intrepid adventure that most of us can only dream of. They had driven across Asia, very nearly made a first ascent, crossed a landscape few Europeans had ever seen, suffering from hunger, exhaustion and dysentery. Nevertheless, to them Thesiger is “hard as nails”. He talks about all the times locals have asked him for medicine, and he’s ended up having to amputate fingers. “The other day I took out an eye. I enjoyed that,” he said. They turned in for the night and Carless and Newby started to inflate their air mattresses. Thesiger looked at them in disgust. “God, you must be a couple of pansies,” he said. That’s the very last line of the book. Luckily there are a few more of Eric Newby’s books I still have to read. I can’t wait. ← Nepal’s scramble for first ascents – or are they? Once you read The Last Grain Race you will understand why climbing in many respects didn’t seem so daunting. Amazing man!